I don't know about you but, I really love the "new" JC Penny! 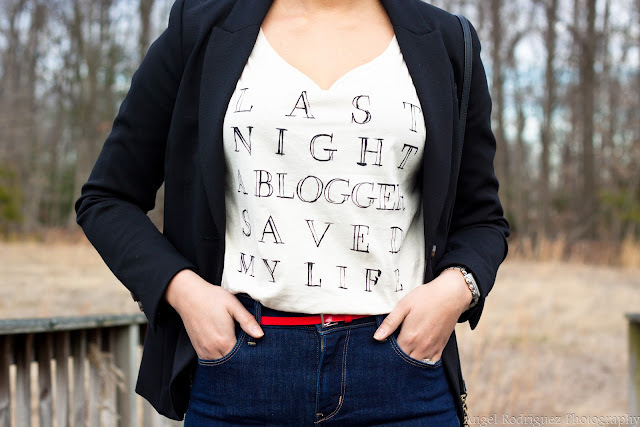 I could not pass up this super cute t-shirt that reads, "Last night a blogger saved my life". How fitting LOL. I can't get enough of simple yet chic outfits like this. 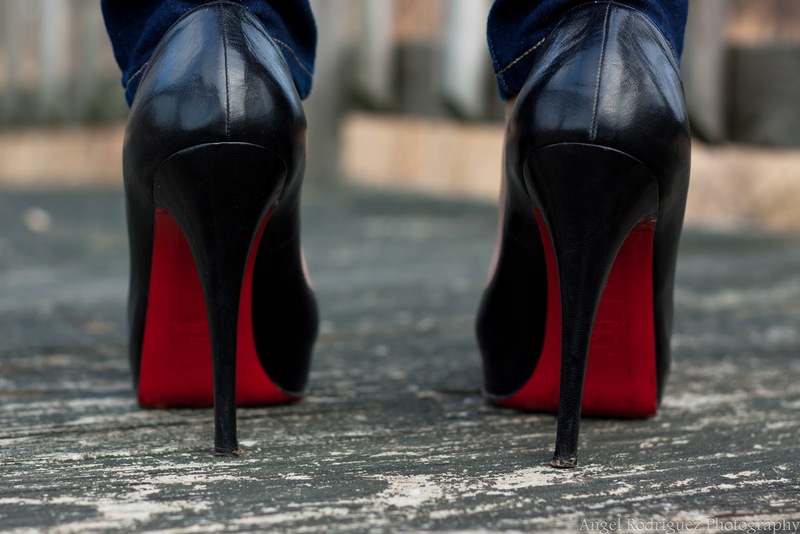 Heels and a blazer just does something special to a pair of jeans and tee.